The International Interior Design Association New York Chapter will feature Mixed Up Mosaics by Allison Eden Studios during Color Invasion 2014 at the Tunnel on October 16th at 7PM. NEW YORK - Oct. 15, 2014 - PRLog -- The International Interior Design Association (IIDA) supports a global network of accredited interior designers. Their goal is to enhance the value of the interior design profession and promote design as a means to positively impact peoples health and well being. The IIDA maintains 24 chapters in 50 countries and their membership exceeds 13,000 designers. On October 16th the New York Chapter of the IIDA will host the 2014 Color Invasion at the Tunnel in New York City beginning at 7PM. The Color Invasion event will feature glass mosaic tile artwork provided by Allison Eden Studios. Allison has her finger on the pulse of an ever-changing market and her custom glass mosaic designs are heavily sought after by leading interior designers and architects. 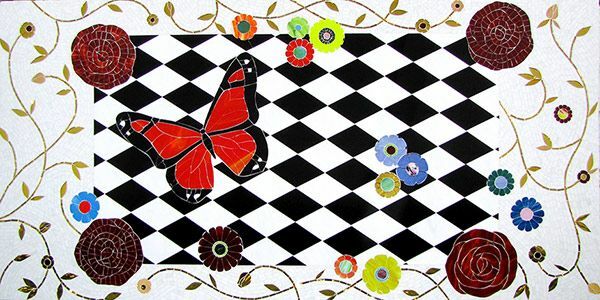 Her artistic hand-cut and hand-crafted wall coverings and original art pieces are classic and timeless. These works of art can be found in various venues around the world including The Venetian in Macau, Canyon Ranch locations, The Wynn Hotel, The Cosmopolitan, Mohegan Sun, Kimpton Hotels, Sidra Medical Center-Qatar, Henri Bendel, Piaget, Kiehls, L’Oreal, Bergdorf Goodman, The Westin, Atlantis in the Bahamas, The Plaza Hotel, The Ritz Carlton Hotels, The Mandarin Oriental, Marriott Intl, Hyatt Intl, Baku Tower and many more hotels, casinos and homes worldwide.